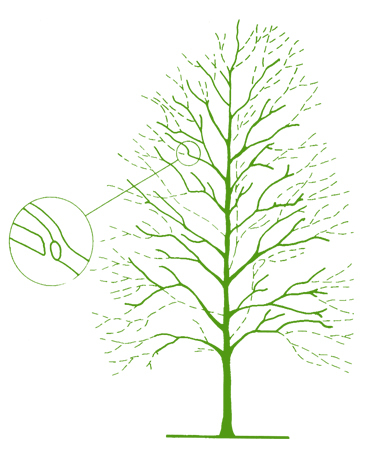 Some trees can be reduced in height and/or spread while preserving a natural tree shape by crown reduction and/or crown reshaping. This procedure should be carried out by cutting back o a side bud or branch to retain a flowing branch line without leaving stumps. All cuts should be made just outside the line of the branch bark ridge and branch collar of the retained branch.